Born in Ponte de Lima, Portugal, José Carlos Lopes Silva started his musical studies at the age of 7 at the Music School of the Cultural Music Group of Ponte de Lima (Escola de Música do Grupo de Cultura Musical de Ponte de Lima) with the teacher José Pereira de Sousa, making his first debut as a musician when he was 8 under the guidance of the teacher Rui Quintela. Then he joined the Music Academy of Viana do Castelo (Academia de Música de Viana do Castelo) and later on continued his musical studies in Braga at the Calouste Gulbenkian Music School (Escola C+S de Música de Calouste Gulbenkian de Braga) and at the Conservatory of Music Calouste Gulbenkian of Braga (Conservatório de Música Calouste Gulbenkian de Braga). Awarded a scholarship by the Calouste Gulbenkian Foundation, he attended the Conservatory of Music Calouste Gulbenkian of Braga, having graduated with high distinction from the Trumpet Course, taught by the teacher Alexandre Fonseca and from the Musical Formation Course, taught by the teacher Rosa Maria Torres, in 1995. Later that same year and with the same distinction, he finished the General Piano Course, taught by the teacher Felipe Nabucco Silvestre and the Chamber Music General Course, taught by the teacher Maestro António Baptista as well. In 1994, he finished the Chamber Music Course at the Regional Conservatory of Music of Portalegre (Conservatório Regional de Música de Portalegre), taught by José Augusto Carneiro and attended a Trumpet Master Course, taught by the same teacher. In 1997 he attended a Chamber Music Course at the Music Conservatory Calouste Gulbenkian in Braga (Conservatório de Música Calouste Gulbenkian de Braga), taught by the teacher Zeferino Pinto. In 1998 he also attended a Trumpet Master Class, taught by the teacher Tristão Nogueira and a Chamber Music Master Class, taught by the teacher Joaquim Raposo at the ‘Instituto Superior Politécnico de Leiria’. José Carlos participated in the XV International Course for Young Musicians 98 and in the XXVII Course of Directions of Philarmonic Bands 98, both promoted and sponsored by INATEL. In 2001 he enters the ‘Escola Superior de Educação’ in Lisbon to attend a course on Teacher Training in Music Education, which would allow him to become a Music teacher in public schools, having completed it in 2003, at the Minho University (Universidade do Minho) in Braga. In 2004 he enters the ‘Escola Superior de Educação do Instituto de Estudos Superiores de Fafe’ to attend a course to get the proper qualifications to hold functions in the area of School and Educational Administration. As a founder member of the School for Strings in Correlhã (Ponte de Lima) in 1984, he recorded 3 discographic works and performed in concerts around Portugal and its islands, Spain, France and also on the Portuguese television RTP, on Spanish TV Galiza and on the French National Radio. In April 1991, he was awarded a medal of honour from ACPPBE (Bondy - France). A concert for the reception of Prince Edward in 1988 stands out among other performances along with this school. As a trumpeter he became a member of the Calouste Gulbenkian Orchestra of Braga in 1992, where he stayed until 1997 being first soloist trumpeter, presenting himself often as a soloist. In 1993 he joined the Chamber Orchestra of Braga and in the Classical Orchestra of Braga where he was often a soloist. In 1994 he collaborated with the Portuguese Symphony Orchestra of Music Private Schools. In 1995 he joined the Portuguese Youth Orchestra and was invited to represent the Conservatory of Music Calouste Gulbenkian of Braga in the Portuguese Symphony Orchestra of Young Musicians Students, known as the ‘Orchestra of the 300’ due to its large number of instrumentalists. That same year he joins the Hamelin Flute Jazz Orchestra. In 1997 he took the place of first Soloist Trumpeter at the Bracara Augusta Juvenile Classical Orchestra and at the Wind instrument Orchestra of the Bracara Augusta Juvenile Classical Orchestra. In 1998 he took the place of first Trumpeter at the International Orchestra of wind instruments for young Musicians. 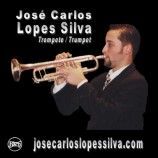 In 1999 he becomes titular trumpeter at the Chamber Orchestra of Pedroso in Vila Nova de Gaia. He had singing lessons, studied vocal techniques and vocal education with the teachers Maria José Carvalho and Paulo Oliveira Ferreira. As a singer he worked with the School for Strings in Correlhã from 1984 until 1992. In 1992 he joins the Symphonic Choir of the Orchestra of Braga, having recorded for RTP, TVI and RDP. That same year he enters the Calouste Gulbenkian Symphonic Choir where he was often presented as a soloist. In 1994 he sang in the Concert Chorus of the Superior School of Sacred Music of Regensburg in Germany and from this year until 1995 in the Calouste Gulbenkian Chamber Choir. He worked under the direction of the maestros José Pereira de Sousa, António Sousa Baptista, Leonardo de Barros, Miguel Graça Moura, Manuel Ivo Cruz, Altino Carvalho, Zoltan Santa, António Saiote, José Atalaya and António Vitorino D'Almeida, among others. Having devoted himself to teaching music since 1994, he taught Trumpet, Chamber Music and Musical formation courses at the Music Academy of Vila Verde (Academia de Música de Vila Verde), at the Music School of the Cultural Music Group of Ponte de Lima (Escola de Música do Grupo de Cultura Musical de Ponte de Lima) and at the Music Academy of the Star of Argoncilhe (Academia de Música Estrela de Argoncilhe) in Santa Maria Feira. He also taught Music Education at the following schools: E. B. 2,3 Prof. Gonçalo Sampaio (Póvoa de Lanhoso), Escola E. B. 2,3 de Viatodos (Barcelos), Escola E. B. 2,3 de Vila Verde, Escola E. B. 2,3 de Silves (Algarve), Escola E. B. 2,3 de Cabreiros (Braga), Escola E. B. 2,3 de Gualtar (Braga) e Escola E. B. 2,3 Pêro de Alenquer (Alenquer). In 1996 was decorated with an honorary article by the magazine called ‘Revista Límia’ from Ponte de Lima. In June 1997 he was invited to be a jury member of the First Interschool Song Contest, organised by the ‘Centro de Área Educativa de Braga da Direcção Regional de Educação do Norte”, and was awarded a medal of honour. In 28th June 1999, he was praised by the ‘Agrupamento Educativo da Escola E. B. 2,3 de Cabreiros’ for his contribution in the learning process of his pupils and by all the work done in the benefit of the school in the school year of 1998/99. He was invited to attend some sessions of the course of Orchestra Direction at the ANSO (National Superior Academy of Orchestra). He was a pupil and follower of the Orchestra Direction of the maestro teacher Felipe Nabucco Silvestre. From 1998 to 1999 he directed the Brass Group from the Cultural Music Group of Ponte de Lima. In 1999 he founds the Portugal Brass being its artistic director and titular maestro since its foundation. From his latest works, stands out the recording of the CD/DVD "Cancioneiro Popular" with the chorus of the pupils of the 'Agrupamento de Escolas de Vila Verde’ by the record label ‘Clave de Soft’ (2006). Since 2006 he is a Music Education teacher at the ‘Escola E. B. 2,3 de Briteiros’ (Braga) and coordinator of some projects like on-line Portugal Eurovision, BandasFilarmónicas.Net and Professorespt.com among others.